Q: The game stops loading at 10% progress. What can I do? 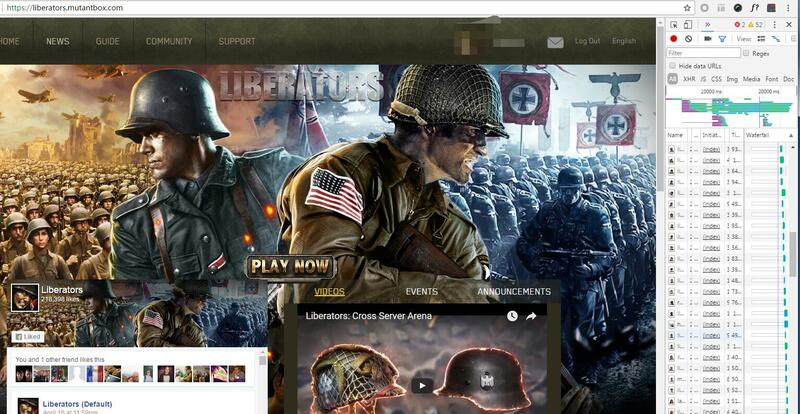 If you play Liberators on Facebook.com, please read below. 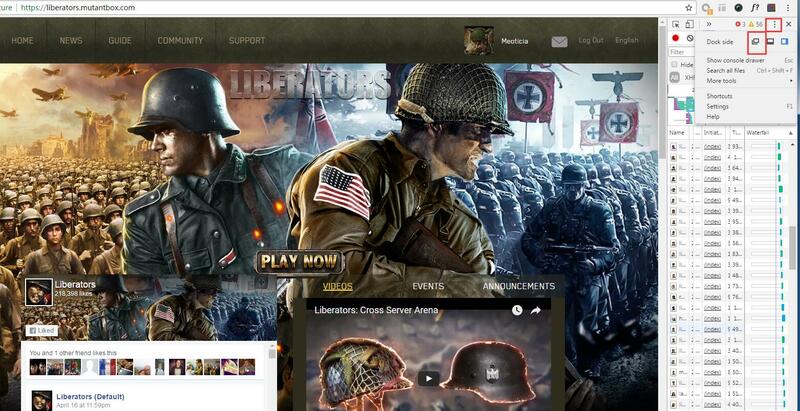 If you play on mutantbox.com, please click here. 2. Press Ctrl+Shift+i to open the developer tools. Your browser will probably look like below. You will see a Facebook warning. Don't worry. We are not hacking your Facebook account. 3. 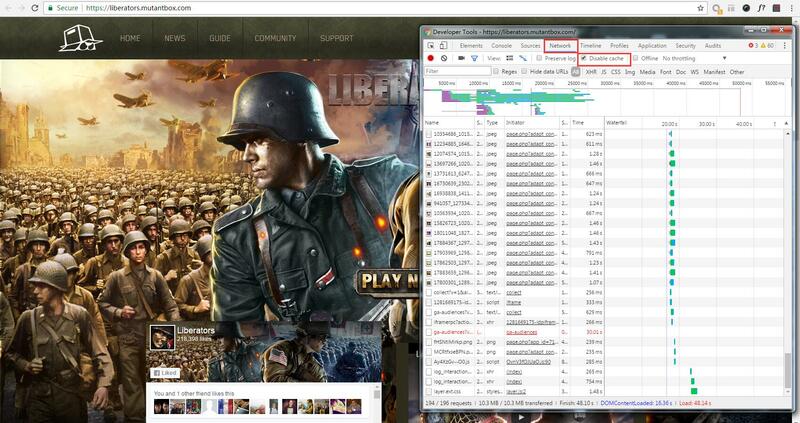 Click the two windows icon in the upper right corner to put the Developer Tools in a separate window. 4. Switch to the Network tab and select Disable Cache. 7. 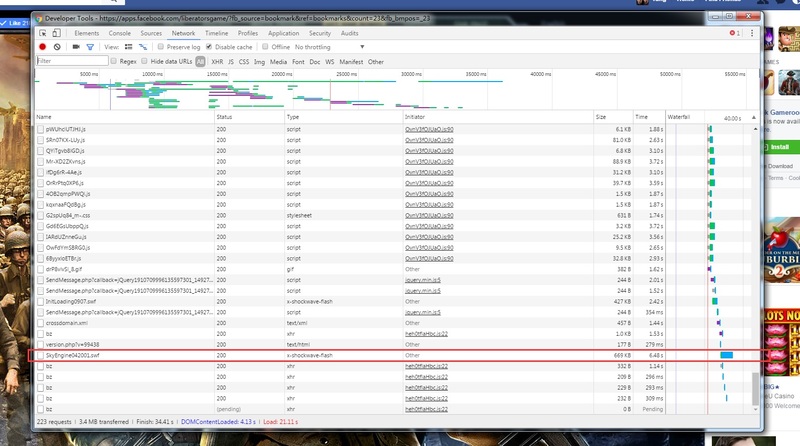 If the game stops loading at some point, switch to the Developer Tools - Network window and find the file named "SkyEngine042001.swf" and get a screenshot of the entire Network tab. 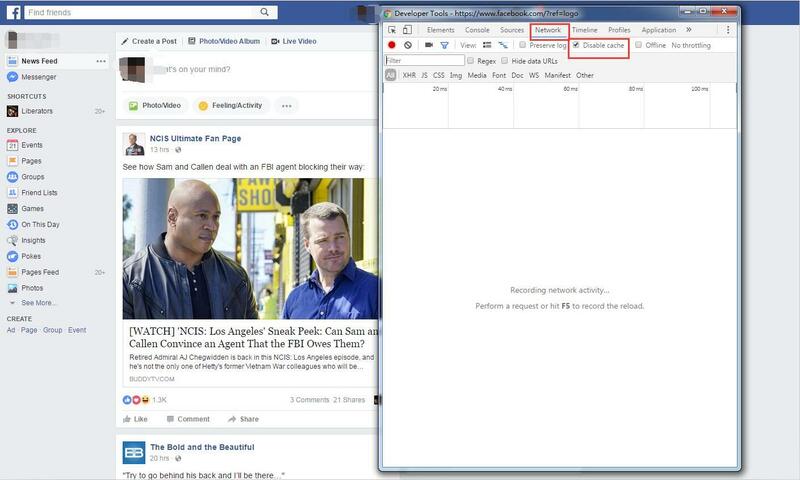 Please enlarge the Developer Tools window to make sure all the information is displayed. If you can't find SkyEngine042001.swf in Network, use the Filter in the upper left corner to search. 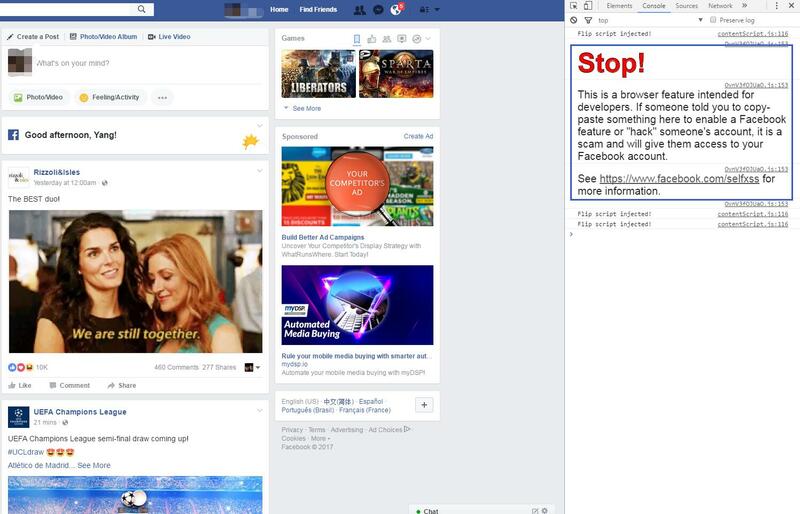 Please enlarge the Developer Tools window to make sure all the information is displayed. 8. Send the screenshot to us via our support system. It will help us to address your problem more swiftly. If you don't know how to get a screenshot, please click here to see the instructions. 2. Press Ctrl+Shift+i to open the developer tools. Your browser will probably look like below. 7. If the game stops loading at some point, switch to the Developer Tool - Network window and find the file named "SkyEngine042001.swf" and get a screenshot of the entire Network tab. 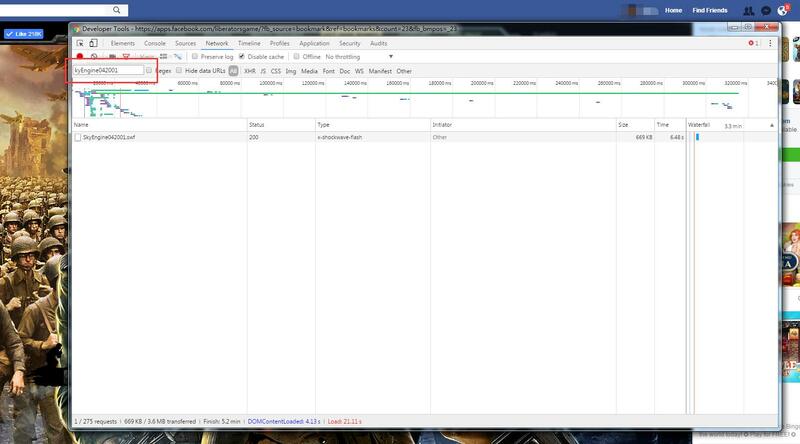 Please enlarge the Developer Tool window to make sure all the information is displayed. If you can't find SkyEngine042001.swf in Network, use the Filter in the upper left corner to search. Please enlarge the Developer Tool window to make sure all the information is displayed.